The Library is thrilled to welcome local and regional artists! Please check back here often as we share upcoming artists and their exhibits. If you are interested in exhibiting art in the future, please read and fill out the information below. 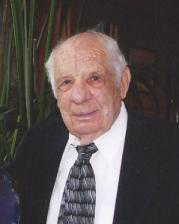 In 2011, the Waukee Public Library had received a very generous bequest from former resident Hiram Ori. The approximate amount of $700,000 is the largest single donation in the long history of the library. This gift will help advance the institution toward its goal of serving as a gathering place for the community and its dedication to promoting the free exchange of ideas. But while this gift is a marvelous recognition of WPLs current achievement and future promise, it is also a reminder that we must continue to provide critical support for the public library - the heart of our community. Mr. Ori’s remarkable act of generosity will help secure the future of The Waukee Public Library as a trusted source of information and ideas for members of the community. Hiram Ori believed deeply in the role of public libraries to educate and inspire people, particularly young people. He made this extraordinary gift from his steadfast conviction that the Waukee Public Library and all libraries provide a vital connection to millions of individuals worldwide. He wanted us to continue providing excellent service to meet the needs of the public. 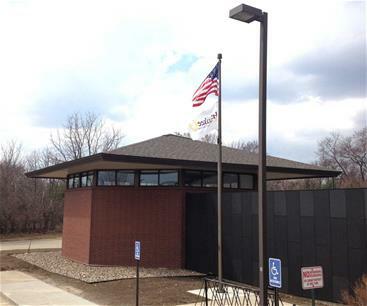 This contribution reflects not only Mr. Ori’s belief in the growing significance and enduring value of public libraries, but his conviction that the Waukee Public Library will be a wise and responsible steward of his legacy. It is no secret that these have been challenging economic times for public libraries, a challenge that is still unmet. We hope this gift will inspire a broad conversation about the funding needs for public libraries, particularly at the local level. We are inspired and humbled by this magnificent gift. Although Hiram Ori moved away from Waukee, he naturally felt a strong bond with the town where he spent his youth. This bequest honors his mother and father and the families of the Shuler Mine. 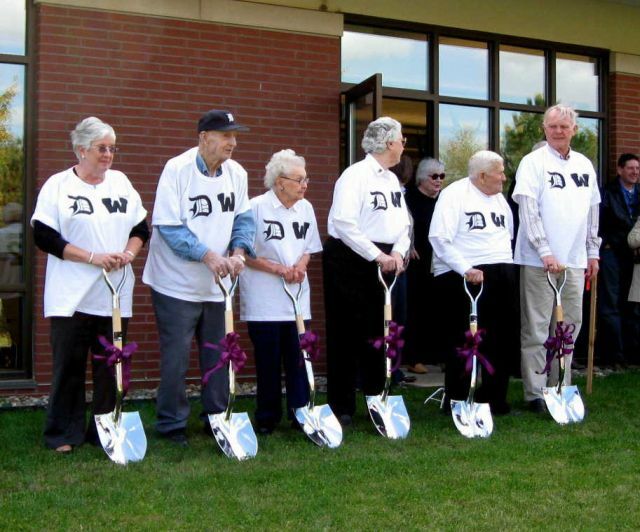 It is our hope that it fills the people of Waukee with pride in their community and in their library. 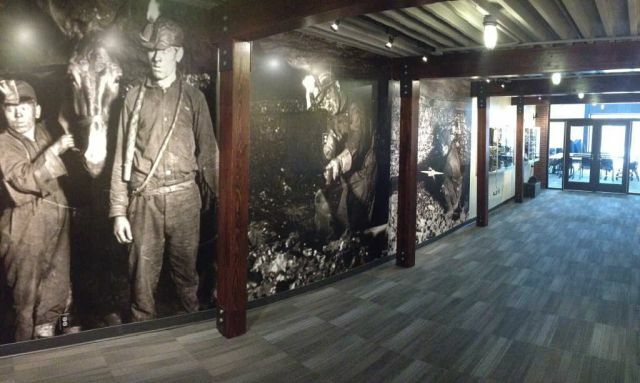 Many historical photographs of Waukee and oral histories of mining descendants have been digitized and can be found on display in the Coal Mine Museum funded by a generous bequest from Hiram Ori. The Manders Museum opened on February 22, 2009. 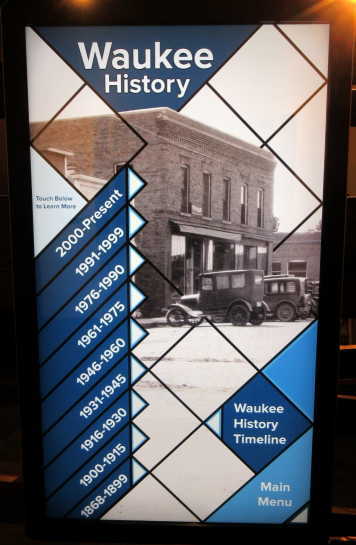 The museum showcases the life and baseball career of Harold C. "Hal" Manders, a Waukee resident, who played professional baseball in the 1930s and 1940s. Items on display include autographed baseballs, baseball gloves, souvenir bats, Waukee High School letters, watches, ribbons, numerous photographs, and a video on Manders. 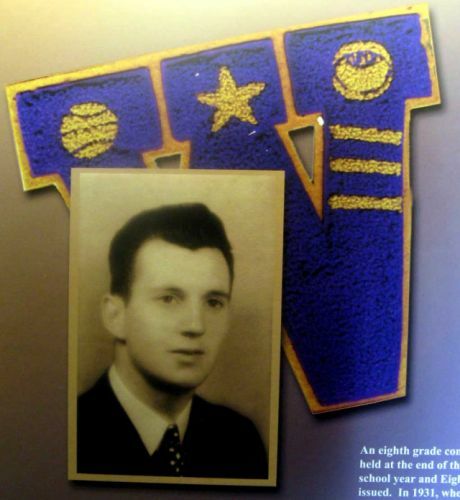 Harold C. “Hal” Manders was born in Waukee on June 14, 1917. He attended Waukee schools, was active in school sports, and graduated from Waukee High School in 1935. Following high school, Manders studied medicine and played baseball at the University of Iowa for 3 years. 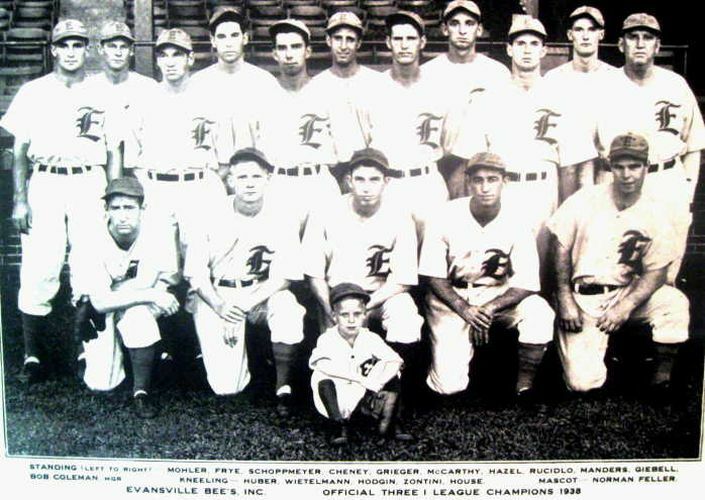 In 1939, he was drafted as a pitcher by the Detroit Tigers. During World War II Manders returned home to farm with his father. 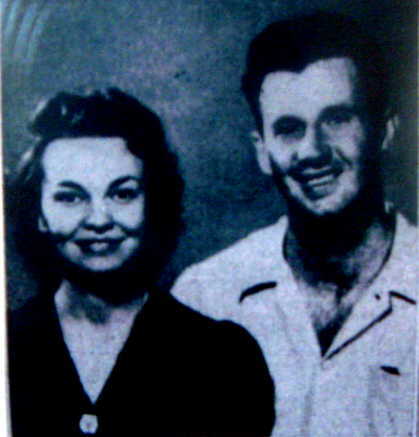 In 1941, he married Maribelle Cross. Upon his return to the Tigers in 1946, he was traded to the Chicago Cubs. Due to a salary disagreement and his father’s ill health he left the Cubs shortly thereafter to farm. He farmed near Dallas Center where he raised corn, soybeans, purebred Hampshire hogs, and beef cattle. 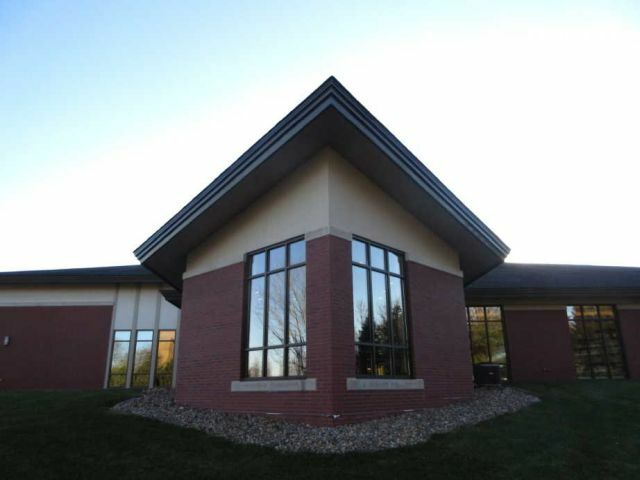 The Manders addition to the Waukee Public Library opened on February 22, 2009. Mr. Manders passed away on January 21, 2010. The sculpture consists of two parts. 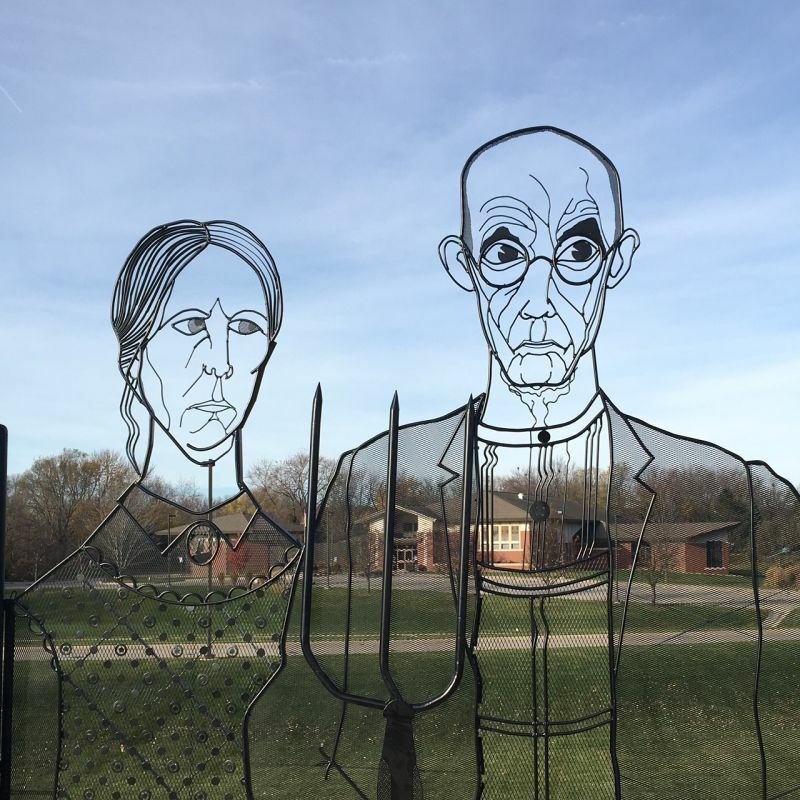 The central section is inspired by American Regionalist artist Grant Wood’s iconic 1930 painting American Gothic. It is a painted metal “tracery” of the couple in the painting with the pitchfork between them. To either side of this central segment are, in two staggered rows, prairie grass plants on the left, and cornstalks on the right. Sculptor John B. Brommel was born and raised in Des Moines, IA. He pursued his lifelong interest in art while working as a steamfitter. In the late 1970s and early 1980s he began creating first wood, then stone sculptures. In 1998 he turned to metal sculpture, having deep knowledge of carbon steel, stainless steel, brass, copper and aluminum, as well as welding, from his steamfitting years. In 2004 he took up airbrush painting. Showing his concern for the environment Brommel is avid about recycling and repurposing. Over 500 of Brommel’s sculptures and 2-D metal paintings are in public and private collections.